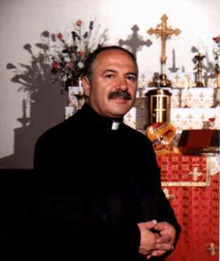 On Sunday the 24th of May, 2009, the Church of Mor Gabriel, Hackensack, New Jersey, celebrated the 15th Anniversary of the ordinations of their priest, Rev. Fr. Aziz Hadodo. 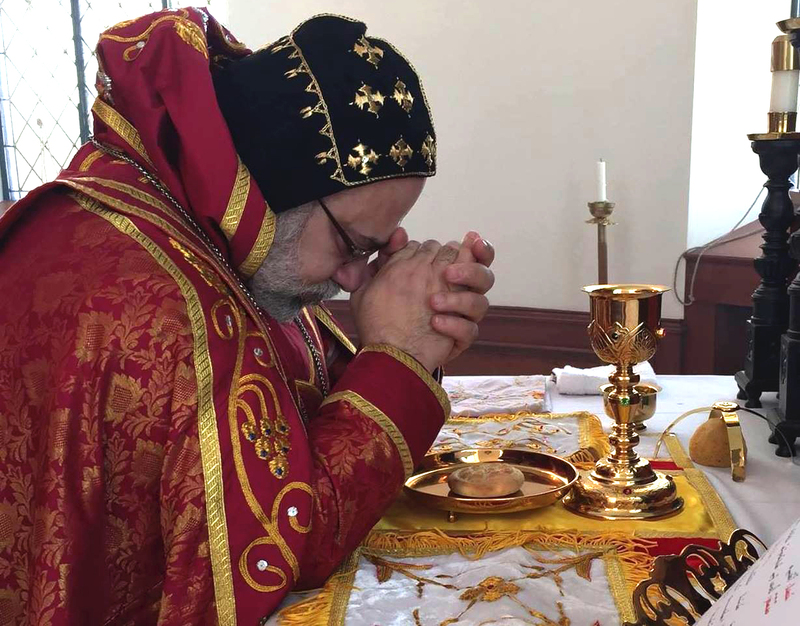 On this occasion, the Holy Liturgy was celebrated by His Eminence Mor Cyril Aphrem Karim who gave s sermon highlighting the meaning of priesthood and commending Rev. Fr. Aziz Hadodo on his fruitful ministry. His Eminence also congratulated members of Mor Gabriel parish for honoring their priest on his anniversary. After the Divine Liturgy, everyone was invited for a lunch given by the Church in honor of Fr. Hadodo. During the lunch several speeches were made on behalf of the Board of Mor Gabriel, the Ladies Auxiliary, the Youth and the Sunday School staff. They all expressed their appreciation for Fr. Hadodo’s services as well as his family’s involvement and help. In response, Fr. Aziz Hadodo thanked His Eminence and all the speakers in words that expressed his gratitude for their love and appreciation. Father Hadodo. Was especially touched by the thank you cards given to him by some Sunday School children. We wish Fr. Aziz Hadodo a long and healthy life, full of grace, peace and more successful achievements in his ministry in the vineyard of the Lord.